To ensure your spot for custom work, send 1/2 down ($50) to my PAYPAL to secure your spot. Feel free to contact me with any questions or concerns. Thank you! Thanks for stopping by my blog. 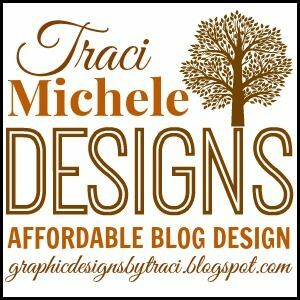 Did you vote in me changing my blog name? I'm hoping diamonds and polka dots wins. How much do you charge for a whole blog design, after halloween I'm gonna need to change it, especially to match my new name. I don't know how to do it myself. The girl that's done my last two designs has a waiting list. Plus I'm looking for something cheaper then what i've been paying. very cute! my favorites are the award, all the original inspirations and of course your own header. I love it, it appears you are new to the blogger world too :)! Welcome, I am having so much fun, and I love meeting people like you along the way! Thanks for visiting me and I hope you stop by again! you are seriously talented...love these! One of the things I like about your style is the beautiful scroll work that you do. Your button's now on my sidebar! Such beautiful work Traci. It's all sooooooooo gorgeous! I am going to consider something new, and of course, you'll be my 'Go To' Gal! I'm still SO proud and pleased with the blog button you made for me.